The things to do in Ottawa are often overlooked by the more popular cities of Montreal, Toronto, & Ottawa. The capital of Canada is often neglected but many people don’t realize what an amazing city it truly is. 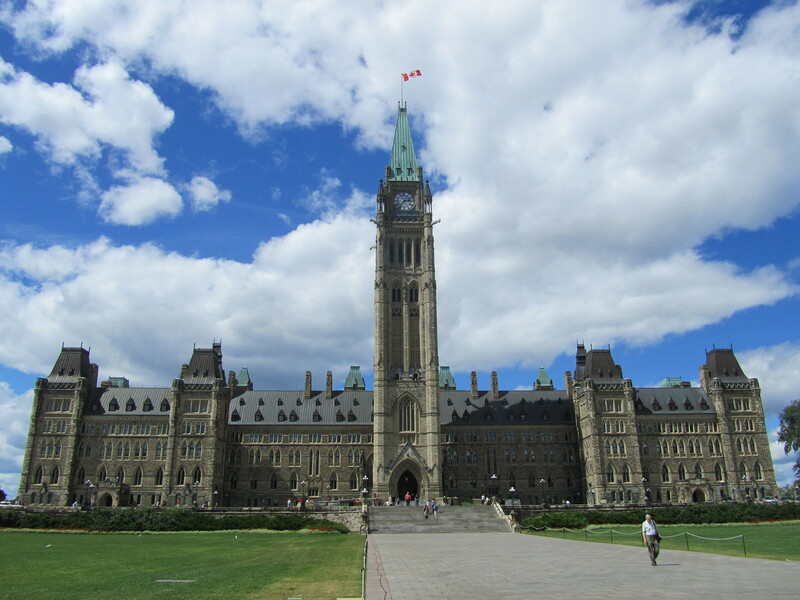 Ottawa is the 4th largest city in Canada and is the political capital of the country as well. There is quite a bit of history in the city and many things to explore throughout the city. The things to do in Ottawa don’t just stop in the city center as there are many outdoor activities and a bustling arts district. Purchasing a vacation package is another good way to explore the city. The tourist attractions in Ottawa start and stop with Parliament Hill. Home to the Parliament of Canada, these gothic style buildings provide great views from any angle. Make sure to take the tour inside the main building to learn about some of the history of the world’s 2nd largest country. The architecture of the buildings are incredible both inside and out. You will be greeted at the main entrance by the Centennial Flame which is a symbolic piece of Canada. Don’t forget to walk behind the building to get great pictures of the river and Quebec. They also have begun a new Mosaiko light and sound show at Parliament Hill in the summer which is a must see! Check out the travel photos from Ottawa so you can take a look at the fantastic pictures. You can take boat tours throughout the many waterways that line the city to get a different perspective of Ottawa. In the winter the Rideau Canal turns into the largest skating rink in the world which reaches miles away to cities nearby. The city uses the very popular levy locks to control the level of water for the ice skating. 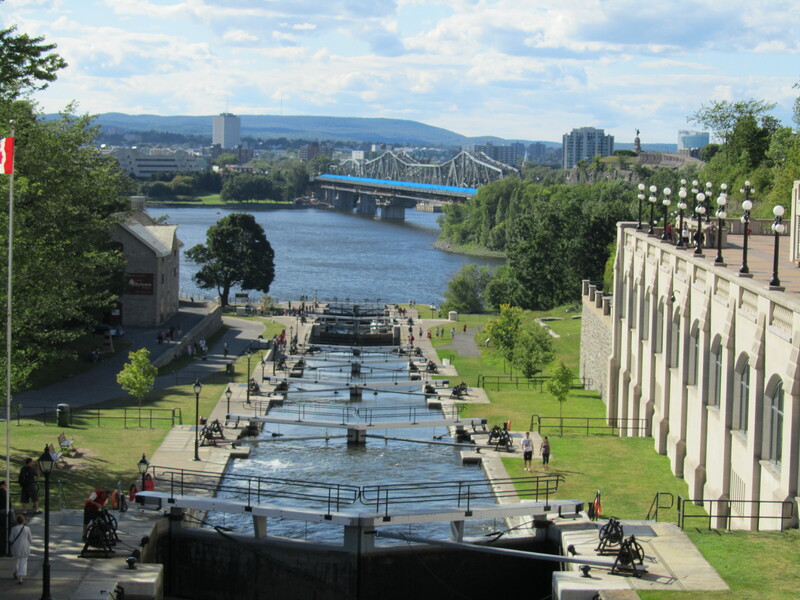 In the summer the canal provides ample opportunity to enjoy the incredible weather of Ottawa, warm days and cool nights. I don’t think anyone would mind a peaceful walk along the water with a nice cool breeze brushing your face. A short walk from the center of the city is the Byward Market. Many travel guides may not mention this small location in detail but it’s one of Canada’s oldest and largest public markets. You can find almost anything your heart desires here other than men’s clothes. You don’t ever go shopping for men now do you? You can line the streets and watch the Busker’s festival where people display their talents all along Clearance Avenue. Don’t forget to visit the delicious shops and gain a few pounds with nutella crepes and beaver tails. The tourist attractions in Ottawa wouldn’t be same without the arts. The arts culture in Ottawa is alive and well. The city boasts one of the largest art museums in the nation in the National Art Gallery of Canada and also a great look into the history of civilization in Canada at the Canadian Museum of Civilization. 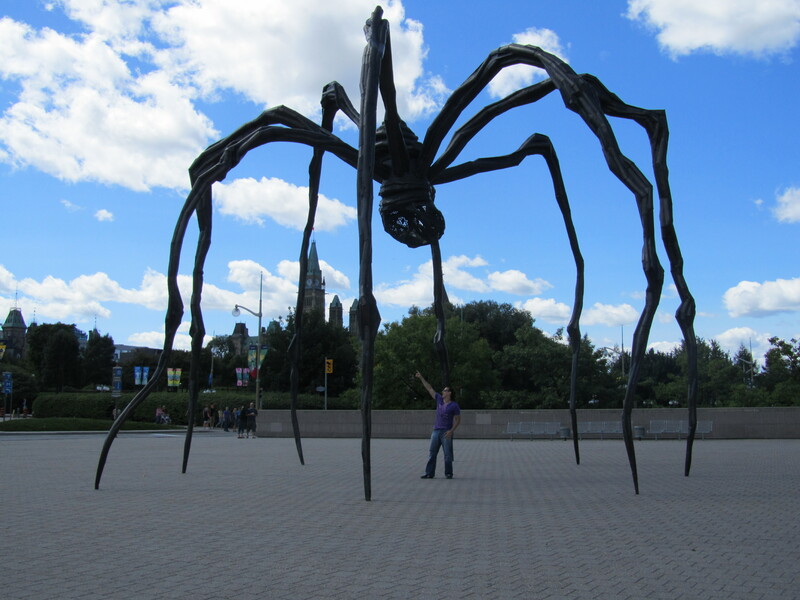 The National Art Gallery of Canada is housed by an impressive architectural building and also sits behind the picturesque spider sculpture. Most travel blogs on the web have pictures of the popular sculpture pictured above. The civilization museum, while housed by a building that isn’t as impressive, still gives extremely remarkable exhibits on the history of Canada. While these are the two most prominent museums in the city there are still others to see as well. The things to see & do in Ottawa also extend outside of the city limits. When you are traveling through Ottawa, make sure you stick around for a Sunday morning the city closes of part of the parkway for cyclists, roller bladders, and runners. This occurs every morning and has become a tradition of the city. You may be interested in buying some of the most delicious maple syrup on earth from the farms nearby. Cross the Ottawa River and you can go hiking and explore the Gatineau hills. Don’t forget to try some recreational sports like rugby and lacrosse which aren’t popular in the states. Dont forget to check out our top 5 section for more things to do in Canada and around the world.